Should the Mortal Instruments be Adapted for Film? This past Christmas I read Cassandra Clare’s The Mortal Instruments series. I heard it was a great read, and it didn’t disappoint. The first three books wrapped up so nicely, that I decided not to read the 4th until after book 5 was released this May. From the reviews, many fans were upset with being left hanging by the 4th book, and I thought I should stop where the original series ended. The reason Clare has returned to writing The Mortal Instruments appears to be the same reason many authors get caught up in re-opening closed cases (i.e. The Vampire Diaries). Hollywood came calling. Due to the rise in popularity of Young Adult book series being adapted for film, many authors have contemplated continuing a series they have finished to capitalize on this surge in popularity. Not long after The Hunger Games was cast, The Mortal Instruments began to be considered as the next big franchise. The film’s synopsis hints that the film will stick closely to the book, and will be written by Pretty Little Liars scribe, I. Marlene King. Casting has only begun, but Lily Collins (Mirror Mirror) has been cast to play Clary Fray. While the heat is on to cast the other roles, namely the male leads, book fans are coming up with their own wish lists. Despite the frenzy the studio is trying to create to rival that of The Hunger Games, the question I propose is should this book be adapted? 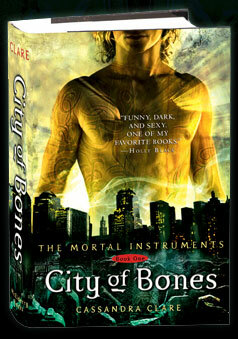 As a fan of this book series I feel that if done right The Mortal Instruments could prove to be a box-office smash hit. Unfortunately, in the wrong hands it could turn out cheesy. The film is going to be directed by Harald Zwart who’s mostly known for the Karate Kid reboot and The Pink Panther 2 remake starring Steve Martin. Not a fan of either of those films, I’m quite skeptical at his abilities to take this fantastical world Cassandra Clare created, and make it seem authentic. Sure The Mortal Instruments is about the supernatural. Yes, there is a love triangle that seems to be a staple of all YA fiction these days. But The Mortal Instruments is about so much more. It’s about discovering who you truly are as a person, and what you’re capable of. It’s about learning the difference between loving someone, and being in love with them. It’s about the true meaning of family. Sometimes family isn’t just about blood, but about the bonds of love, loyalty, and friendship. The Mortal Instruments is also about race and class relations in our society, and how we view people who are different from us. Different skin. Different religion. Different socio-economic status. 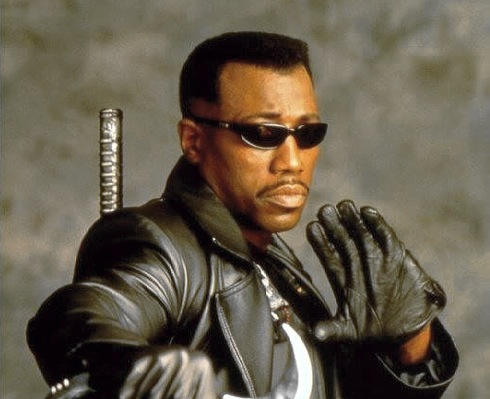 Like Blade, which wraps these themes under a vampire hunter bow, The Mortal Instruments explores these ideas among the Shadowhunters and Mundanes. 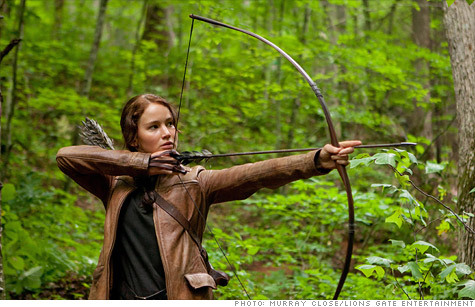 After The Hunger Games was released, many book fans argued about what was omitted from book to screen. I know, because I was one of them. Overall, the film was nicely done, but when you love a book it can be hard to separate the two genres more often than not. One of the complaints was how much more screen time President Snow received in the film than he had on the pages of the book. By doing this, it was argued that by making him the “Big Bad”, they were undermining the concept that it is society at large who was responsible for the genocides being committed in the arena, and without. Not just Snow. What do you think? Should The Mortal Instruments be adapted for the Silver Screen? Who is your dream cast? Sound off in the comments below! I can see it being adapted but I would honestly prefer seeing The Mortal Instruments on the small screen. I think it adapts better to an overarching series than to a movie trilogy. I could also see it turned into a series for like ABC Family, or something. Book one could go be the first season, with little adventures of the week mixed in. It could totally work. I agree a trilogy is too much. The first 3 books could make one movie. Maybe two tops.